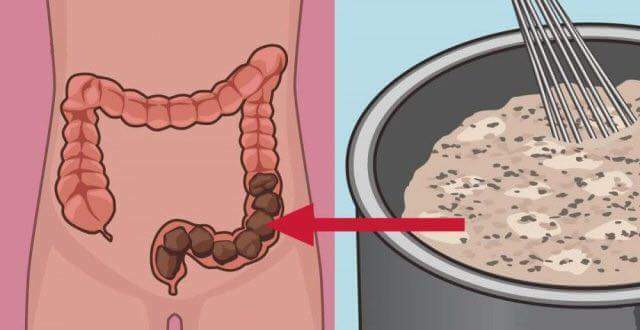 Clean your colon of all wastes using this homemade tasty remedy! ☀️It's super simple ! Ingredients that you need... 1 apple 1 tablespoon flax 1 tablespoon of chia seeds one tablespoon of honey a glass of water Mix all ingredients together and wait until Chia seeds do not spread. Drink this cleanser (preferably on an empty stomach) and you will soon be rid of toxic waste. Apples contain soluble and insoluble fiber which stimulate bowel movements. Flax seed having fibers, antioxidants, and omega-3 fatty acids promotes intestinal absorption of nutrients, and combat colorectal cancer. Chia there is a fiber, omega-3 fatty acids, vitamins, and nutrients, improves the health of the heart and promotes healthy digestive tract. Honey has antibacterial, antifungal, antiviral and antiseptic properties, and offers protection against colon cancers.